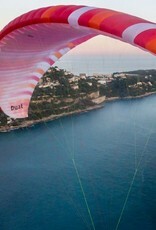 TARGET When you’re not gallivanting around the world, do you constantly dream of your next big paramotor adventure? Have you pushed and found most of your mental and physical limitations? Do you feel most comfortable motoring high over jagged peaks and deep ravines? 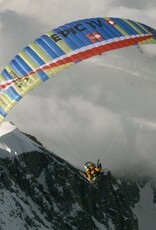 If you want to share your passion for adventure, the Dual LITE tandem paramotor wing is designed for you. 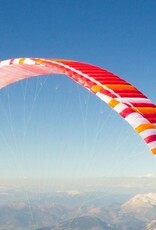 The Dual LITE is designed specifically for adventurous paramotor teams. 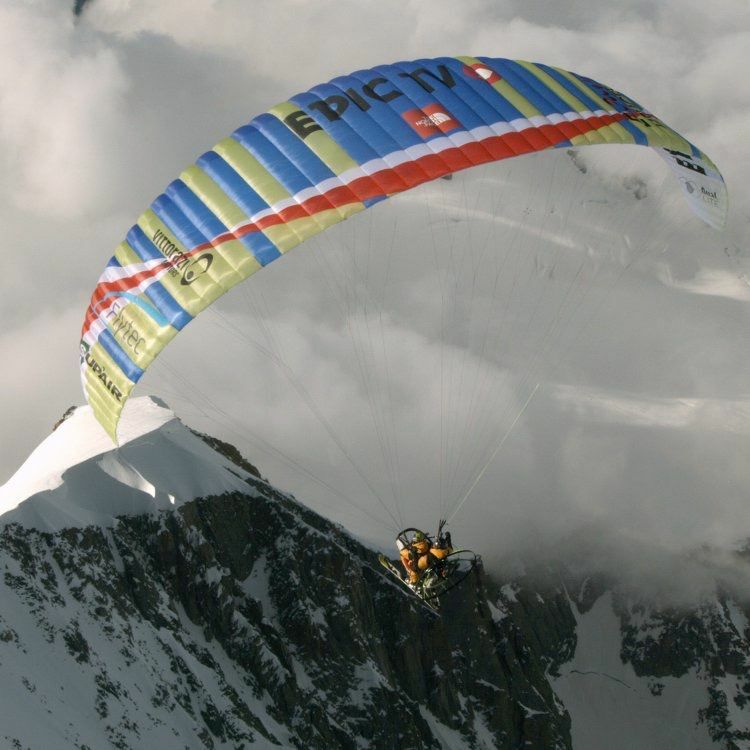 Its safety, performance, and weight have all been optimised for big paramotor flights and long paramotoring trips. It has the best launch/landing characteristics , handling, and performance we could pack into 6.35kg, so if you’re looking for the best you can get your oily hands on, look no further. 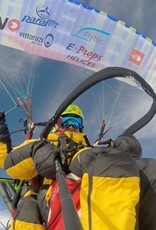 DESCRIPTION On your next paramotoring trip, extra fuel, food or beer could be packed in your bag in place of the 1.1 kg of weight we skimmed off the Dual. With a mix of carefully allocated 27, 34, and 40-gramme cloth, the DGAC/EN-B certified Dual LITE feels like a light version of its parent, the Dual – with self floating inflations, power steering, loads of feedback and ultra-efficient characteristics. Lightweight means literally effortless inflations, improved safety, higher performance, and overall easier manoeuvrability. BRUCE'S NOTES I designed the Dual LITE to push the limits of what is possible in the sport of paramotoring. It worked. 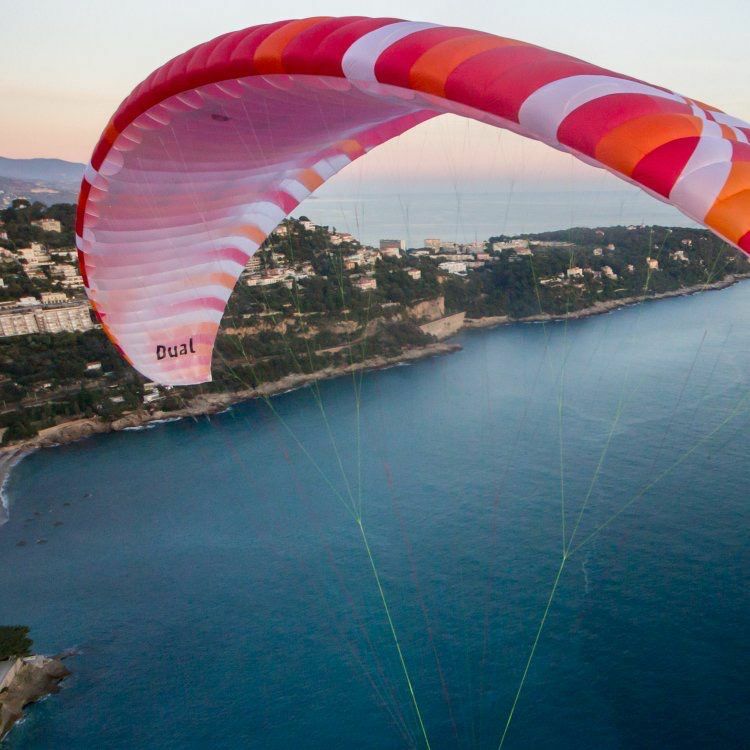 Whether it is a simple flight with a friend or a long record-breaking paramotor expedition, the Dual LITE delivers. 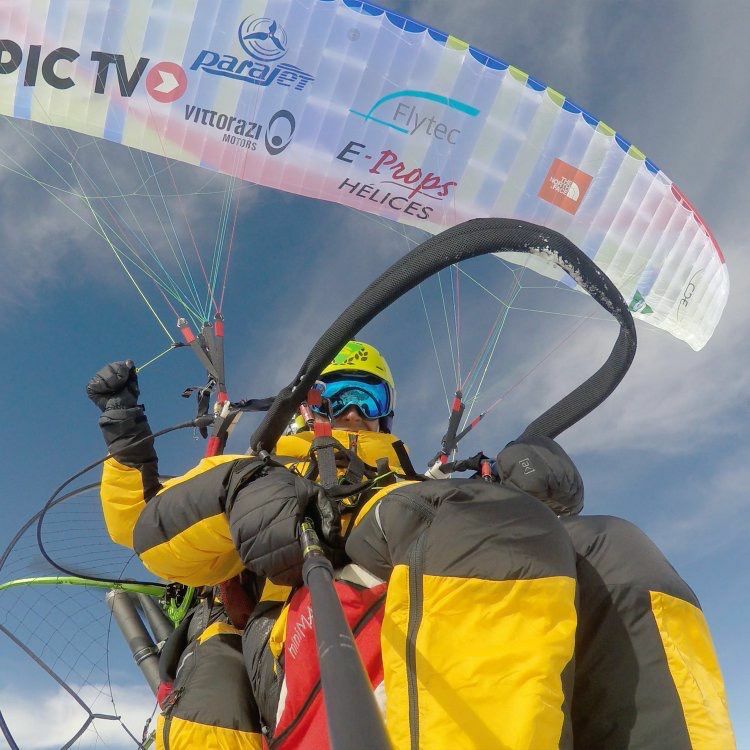 The Dual LITE currently holds the tandem paramotor altitude world record of 5,066m by our test pilot Ant Green. I look forward to seeing what else it is capable of. 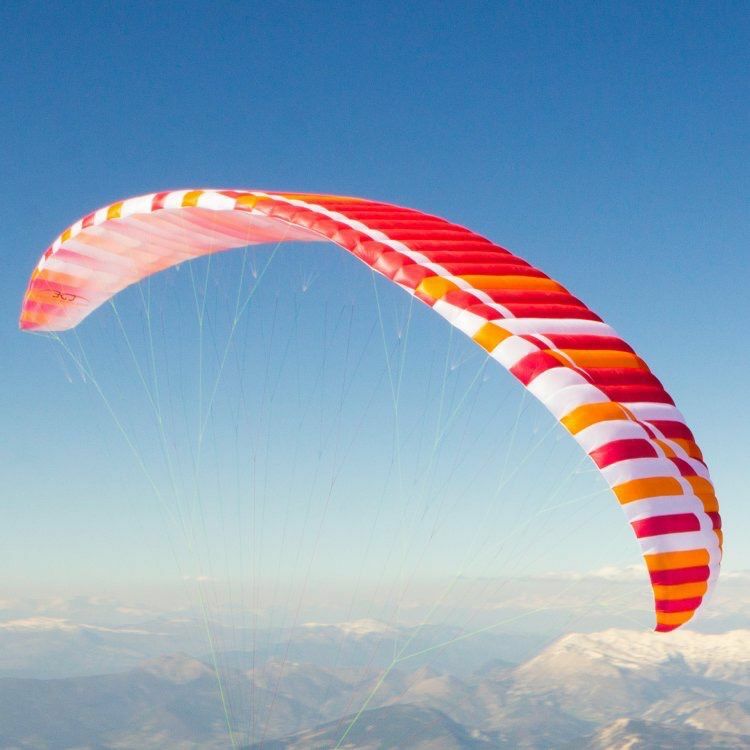 Like the Dual, the Dual LITE is a wing that has a very clean leading edge (Cord Cut Billow) making the low cell count (50 cells) feasible thus reducing the line consumption and complexity of the paraglider. I think the Dual LITE really benefits from the Dual’s renowned light handling. Its launching characteristics even surprised me – the wing progressively floats up with very little effort from the pilot. Once overhead it self stabilized and follows the pilots commands.